During the day half-day and full-day long workshops will take place, partly in English and partly in Hungarian. The sessions will run from 9 am to 5 pm. 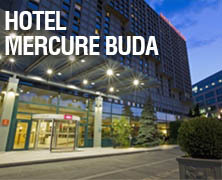 In the evening there will be a cocktail reception with Hungarian wines and handcrafted beers, providing a great opportunity to get to know your fellow attendees better. The sessions will run again from 9 am to 5 pm.